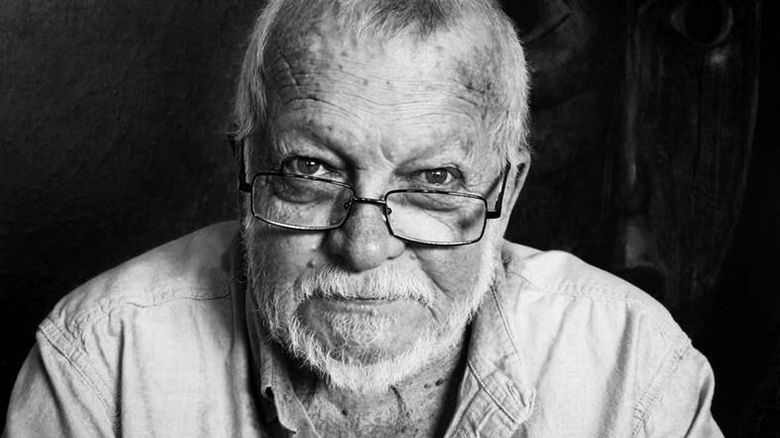 Sam Hamill, who died earlier this month, was an acclaimed poet and a co-founder and longtime editor of Port Townsend-based Copper Canyon Press, one of the country’s most respected and prestigious poetry presses. Poets see the world differently from the rest of us; they dance with language, twisting it and shaping it until it fits their vision, always seeing the outer limits of what words can do. Sam Hamill, who died at his Anacortes home on April 14 at the age of 74, spent his life engaged in that dance; as a poet, editor, publisher, translator, printer and champion of the art of poetry. He was, said his friend and literary executor Paul Nelson, “the dean of Northwest poets.” Internationally acclaimed for his work, Mr. Hamill published 17 volumes of his own poetry, along with several prose collections and acclaimed translations of great Asian poets. Among the many honors he received were fellowships from the NEA, Guggenheim and Andrew W. Mellon Foundation, a Lifetime Achievement Award in Poetry from the Washington Poets Association, the First Amendment Award from PEN USA and the Decoración de la Universidad de Carabobo in Venezuela. And he left a major mark on our region’s publishing landscape: With Tree Swenson, Jim Gautney, William O’Daly and a $500 award Mr. Hamill had received for his work on the student paper at the University of California, Santa Barbara (UCSB), he founded Copper Canyon Press in 1972. Based in Port Townsend since 1974, Copper Canyon is one of the country’s most respected and prestigious poetry presses. Mr. Hamill was its editor for more than 30 years, departing in 2004. “We were really part of a number of small independent literary presses that were springing up around that time,” remembered Swenson, now the executive director of Hugo House in Seattle. “By the ’80s, most of those presses had decided to start publishing prose.” Copper Canyon, however, remained true to its original vision and became an enduring voice in the world of poetry. Some of its greatest achievements include publication of early poems by W.S. Merwin and O’Daly’s translations of poems by Nobel Laureate Pablo Neruda — “a signature series of books from Copper Canyon,” said Swenson. In 2003, Mr. Hamill irked the White House after being invited to a poetry symposium there by first lady Laura Bush. Deeply committed to politics and strongly opposing the Iraq war, Mr. Hamill renounced the invitation and founded the organization Poets Against the War. “He used that to have a little rallying cry,” said his friend Ian Boyden, of how Mr. Hamill created a website and invited poets to contribute. “He was thinking he’d get at most a hundred poems. Within a couple of months he had 13,000.” Many of those poems were published in a 2003 anthology, “Poets Against the War,” edited by Mr. Hamill. Born in 1943 (his father, he believed, was a carnival fry cook), Mr. Hamill was adopted at the age of 3 by Utah poultry farmers. The family had a love for poetry, and an obituary provided by Mr. Hamill’s family describes how “his adopted father would lull him to sleep night after night reading the canonical poems of the English language.” At UCSB, Mr. Hamill studied with poet Kenneth Rexroth, whose work he greatly admired (and whose collected works he would later publish at Copper Canyon). Mr. Hamill’s life of listening and writing will be celebrated on May 15, with a reception at his home in Anacortes from 3 p.m. to 9 p.m. All are invited, but an RSVP is requested to middlepointpress@gmail.com. For those wishing to make memorial donations, the family suggests Habitat for Humanity, an organization Mr. Hamill greatly admired. The May 15 publication of his final book of poetry, “After Morning Rain” will be celebrated at the reception. Its title poem, of gazing out at Fidalgo Bay on a rain-soaked autumn day, is an eloquent farewell. of autumn and dark winter. welcome, my own silence welcome. and gone with the rain.